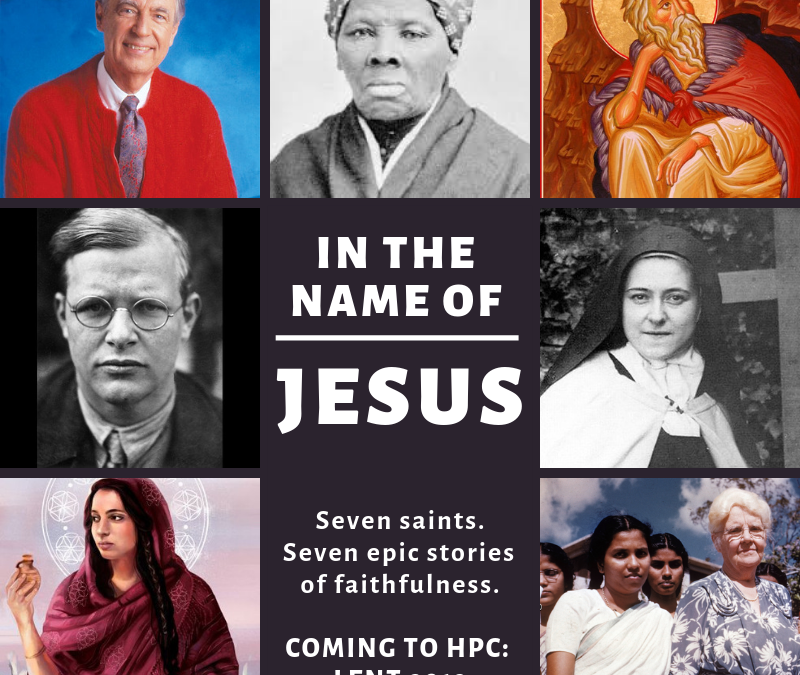 Today, we start wrapping up our Lenten series, where we have heard the stories of faithful people who each followed Jesus in vastly different ways. But first, we’re going to hear from Luke’s account of Jesus riding in to Jerusalem for the last time. After he had said this, he went on ahead, going up to Jerusalem. ‘Blessed is the king, who comes in the name of the Lord! Dietrich Bonhoeffer was a man of many questions. Born on February 4, 1906 in Breslau, Germany, he joined a large family—he and his twin sister, Sabine, were the sixth and seventh children out of eight. His father was a prominent psychiatrist, which meant that the Bonhoeffer family was well-off, well-connected, and not particularly religious – they lived very comfortably among Germany’s elite. The children were each baptized and confirmed in the German Protestant Church, but only Dietrich ever really took an interest in spiritual things. When Germany plunged into World War I, their lives changed very little – with one exception. Dietrich’s oldest brothers, Karl-Friedrich and Walter, had volunteered for the Germany army, and both were sent to the Western front, where Walter was killed in action. This would be the family’s first loss of many to Germany’s war machine. Not long after, Dietrich surprised his family when, at the age of 13, he declared that he wanted to study theology and become a theologian. His oldest siblings and his father thought theology was a waste of time—that it was ultimately a distraction from the real world and the real work of promoting equality and human rights. None of them were wrong. Bonhoeffer completed his high school studies at age 17, then spent a year studying philosophy, biblical criticism, and theology at the University of Tübingen. After a few months travelling in Italy, he returned home to begin a doctoral program in theology at the University of Berlin–where he studied under some of the great Protestant theologians of the era. Here’s the interesting thing about academic German theology in the early 20th century: it was completely dedicated to the philosophical and theoretical study of doctrine. There was very little concern about ethics, or the influence of the Church on everyday life, or even things like prayer – that simply wasn’t their focus. But Dietrich Bonhoeffer, who arrived in 1924 at the age of 18, was increasingly interested in and dedicated to the idea of Christian community – of a sense of shared life and purpose centered in Jesus Christ. Bonhoeffer longed for a more concrete, more dynamic, more embodied and vital faith. Oddly enough, though, even while he was writing about the lived experience of Christian community, he rarely attended church services and had no particular home congregation. After his doctorate was finished, however, he realized he needed a job—and he was still too young to be ordained as a minister. Instead, the local bishop invited him to spend a year as an assistant pastor in Barcelona, Spain, ministering to the growing German expat population there. He was…less than excited about the daily realities of parish ministry, but he did grow to love the people he ministered to. This experience, where worked in a parish with more than 700 members, but usually no more than 40 in attendance at Sunday worship, also drove home a question that persists even 70 years later: can Christianity really become a vital force for good in the world, and a source of meaning in the lives of people who had found better ways to spend a Sunday morning? By the time Bonhoeffer returned to Berlin in 1929, he was growing weary of academic theology—though he still dreamt of working as an academic and professor. In order to go any further down that path, however, he would need to complete a second dissertation, which he did—again at the University of Berlin. The result was his last purely academic writing. After receiving a second doctorate at age 24, the university hired him as a Teaching Assistant, which left him restless and unfulfilled. So, when he was offered a year-long postdoctoral fellowship at Union Theological Seminary in New York, he quickly accepted. He finished the requirements for ordination that summer, and then set sail for New York City in September 1930. He didn’t know it yet, but this year would change everything. Upon arrival, Bonhoeffer was decidedly unimpressed with American Protestant Christianity, which he described as ‘sloppy’ theology. He did, however, quite enjoy his coursework with Reinhold Niebuhr, who introduced Dietrich to a new system of thought called Christian Realism, which did theological work focused on the real, lived experience of actual people and how they lived in a broken and divided world. In several courses, he was also introduced to new theological paradigms and new Christian mission efforts in the midst of the Great Depression. He would remain at Abyssinian for the rest of his time in the United States, the pastor and congregation coming to love and embrace this random German guy in a suit and silk tie – and he would teach a Sunday School class for boys and a Wednesday women’s Bible Study, help with youth outings and musical events, and he was even invited to preach on one occasion. A brilliant musician himself, he particularly fell in love with the music—he took home several recordings of spirituals, which would sustain him in the dark days to come. For the next few years, he worked two part-time jobs—as an unpaid lecturer at the Berlin University, and a campus pastor at a technical college in Berlin—and struggled with both. By the time Adolf Hitler and the Nazi party came to power in 1933, his lectures would be some of the most popular and well-attended at the university—but each of them flew directly in the face of this new wave of German supremacy. Bonhoeffer was already in dangerous waters. The German Protestant Church, following the political agenda of the age, would begin to imagine a church based not on a theological unity, but blood – a unity based on Aryan ethnic uniformity. Church officials also began to describe Hitler as the ‘German Savior,’ who would lead Germany to take its rightful place as God’s chosen people. The first major conflict would come for Bonhoeffer in the form of what’s now called the ‘Aryan Paragraph,’ which was an amendment to church law that absolutely forbade anyone with Jewish ancestry from receiving the sacraments. This meant that all Jewish converts to Christianity, and even those whose parents were converts, were barred from church marriages, the Lord’s Supper, leadership positions, and in some cases, worship services. Bonhoeffer was horrified at the very idea, and encouraged his fellow ministers and church leaders to reject it outright. But, because German churches were increasingly entangled with and partially accountable to the government, the Nazis won. Many other battles would follow, with the same result. Eventually, a group of resistors came together. With Bonhoeffer and several other prominent ministers at the helm, they formed information networks, made international ecumenical contacts, and spoke out (though timidly) against the abuses of Jews by the government, the people, and the church. Bonhoeffer saw the Reich Church movement as more than a bad day, and encouraged his fellow dissenters to treat this moment as a status confessionis – a crisis that required the church to speak decisively with a new confession of faith. He would find very little support at first for this radical idea, and out of frustration protest of the church’s nationalist policies, he decided to take a two-year post as a minister in London. There, at least, he could pastor without many of the restrictions he faced in Germany and continue developing relationships with ecumenical partners around the world. While he was there, the Confessing Church, as the dissenting movement would be called, would create the Barmen Declaration. This confession (which is part of our Presbyterian Book of Confessions) reminds us that our Christian faith rests on the shoulders of Judaism, and that Jesus Christ alone is the head of the church—and no politician or political party, no person or movement, no theologian, even, can usurp Jesus’ centrality and authority. In essence: if Jesus is Lord, then Hitler is not. When he returned, Bonhoeffer imagined a network of seminaries and teaching churches, training a group of new ministers who would have the theological and moral clarity to fight the new Reich Church and win the hearts and minds of the German people again. Meanwhile, the government was busy shutting down free speech and free worship, and attempting to ban every form of worship or preaching outside of the official Reich Church. Bonhoeffer was prohibited from lecturing or preaching in public, he was banned from the city of Berlin, and his writings were banned. By the time he established a seminary for the Confessing Church in 1935 at Finkenwalde, in rural northwest Germany, everything he was doing was illegal. When the Gestapo finally shut down the seminary in late 1937, Bonhoeffer and his best friend/student Eberhard Bethge were away on vacation—but most of the rest of his students and staff were arrested. Bonhoeffer laid low for a while, teaching to small groups of Confessing Church seminarians, and when even that activity was found out and shut down, he made his first contacts with the German political resistance. The year was 1938. Dietrich’s brother Klaus and his brother-in-law Hans were both working for the German government, and also as double-agents for the resistance. They would eventually recruit Dietrich to help him avoid being drafted, and he went to work directly for a military intelligence agency. He was supposedly using his overseas ecumenical contacts to gather information, but instead he was also working as a double-agent, feeding information to the Allies and attempting to coordinate an international agreement to end hostilities upon the overthrow of the Nazi Party. Unfortunately, the Allies weren’t interested. By the early 1940’s, Dietrich became increasingly convinced that the only way to end the atrocities in Germany was to assassinate Adolf Hitler. He had tried the first two—protesting and teaching, even helping families cross the border into Switzerland—and now, it was time to break the machine itself. Bonhoeffer thus became the pastor to the resistance, offering prayer, teaching, and the sacraments to those who would commit murder, high treason, and all sorts of other crimes. He wrestled personally and theologically with what he was doing, but ultimately decided that this was a no-win situation. Whether he stood silently by and did nothing and allowed these atrocities to continue, or whether he actively helped commit both outright sins and crimes against the state, he would still find himself a sinner. So he took Martin Luther’s advice to ‘sin boldly,’ and depended daily on the promise of Christ’s grace and mercy. Fortunately and unfortunately, Bonhoeffer would be arrested before any concrete plans could take shape. In April 1943, he was accused of avoiding the draft (which he did), and participating in subversive activities (by publishing at least two books without state approval), and taken to a Gestapo prison in Berlin. At first, because of his connections and his family name, he was given special privileges even in prison. But in the year and a half he spent at Tegel, he would be interrogated, tortured, and interrogated some more. Still, he wrote on the meaning of suffering and dreamed up new theological projects in his letters. On July 20, 1944, an attempt was made on Hitler’s life – an unsuccessful coup that resulted in the arrest and execution of Bonhoeffer’s brother and two brothers-in-law. That fall, Dietrich would be removed from prison and sent to the Buchenwald concentration camp, and finally to the Flossenburg camp. When the investigation eventually turned up his connection to the plot in 1945, he was quickly tried by a single general, found guilty, and executed on April 9. His final resting place is a mass grave, somewhere just outside of Flossenburg. Overall, Dietrich Bonhoeffer was immensely complex: he loved the idea of the Church, but struggled to love its lived reality. He believed strongly in Christ’s care for the poor and defenseless, and yet lived lavishly himself. He was the stereotype of an aloof academic – but his heart came to life when he preached, and especially with youth and children. He was a committed pacifist, but was willing to aid violence for the sake of ending atrocities. Those questions often made him a threat to those who wanted to hold on to their power. In his own time and place, the answers led him down dangerous paths, and ultimately to his own death. But Dietrich Bonhoeffer embodied for us the wrestling that each of us is called to in our time and our place as followers of Jesus. In the end, he would not and could not be silent—because had he tried to close his heart, to do nothing, to isolate himself in the theoretical, the stones and streets themselves would have cried out: Jesus Christ is Lord of all! Marsh, Charles. Strange Glory (p. 17). Knopf Doubleday Publishing Group. Kindle Edition. Marsh, Charles. Strange Glory (p. 56). Knopf Doubleday Publishing Group. Kindle Edition. Marsh, Charles. Strange Glory (p. 114). Knopf Doubleday Publishing Group. Kindle Edition. Marsh, Charles. Strange Glory (p. 134). Knopf Doubleday Publishing Group. Kindle Edition. Marsh, Charles. Strange Glory (p. 165). Knopf Doubleday Publishing Group. Kindle Edition.